Canon 10D, Sigma 12-24 at 12. 1/125 at f/10 (ISO 200). 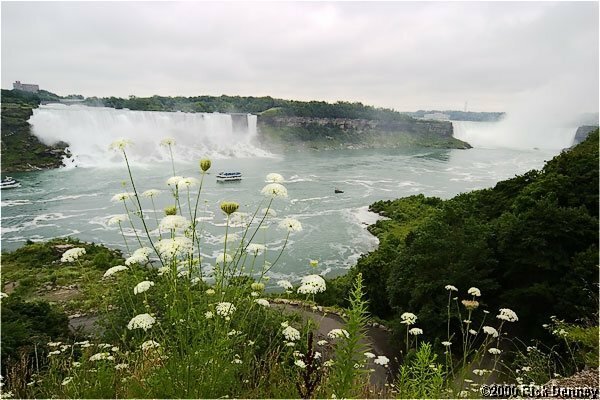 Do you realize how hard it is to find any kind of flora (as opposed to two-legged fauna) for the foreground of a Niagra Falls image? This picture is a celebration of determination!